The coach lost his cool. The players lost the football game. And the program lost its momentum. That’s what happened to Pitt on Thursday night. Although I guess it’s hard to say “momentum” with a straight face after that many Pitt fans successfully pulled off Halloween costumes as empty seats at Heinz Field Thursday night. But let’s not get bogged down on the Panther attendance debate at Heinz Field. Let’s focus instead on whether or not this year’s Pitt team really is all that different from the 14 years of its predecessors at Heinz Field instead. Yeah, this Pitt team is different. It didn’t lose its season opening game at home against Youngstown St under a new coach. That was different from Paul Chryst. That’s a start. 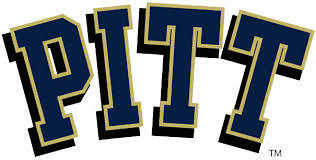 Other Pitt teams in the past likely shank the 56 yard field goal after two pre-snap penalties at Georgia Tech. Other Pitt teams stub their toes with a surprising loss against Syracuse instead of finding a creative way to win with a memorable fake punt. So yes, this Pitt team has proven it’s “different.” At least it has cleared some hurdles and has overcome some stinky reputations. But what this Pitt team isn’t quite yet…is all that good. It lost against the best team it’s faced so far in Iowa. Gave it a good go on the road, mind you. But lost. And at home against UNC (also 6-1 at kickoff), they were the second best team on the field. Carolina’s QB was better (Marquise Williams 11.7 yds/pass vs Nate Peterman 6.8). It’s receiver depth was better. It’s kicking was better (Nick Weiler made all six place kicks for the Tar Heels. Chris Blewitt missed two). And so was its pass rush (UNC 5 sacks/Pitt 0). Plus Carolina didn’t have a turnover while Dontez Ford coughed up a crucial fumble in the first half that lead to points. Now then, if this is a “typical Pitt team” they’ll pull off an upset of Notre Dame next weekend after everyone has jumped off the bandwagon. Then they’ll lose a 50-something to 40-something game against Duke after everyone has jumped back on it. Thus, rendering the last two home games against Louisville and Miami unimportant in the race for the ACC Championship. But in order for the first part of that equation to happen, the Panthers will have to prove a lot more than they did Thursday night if they want to beat ND on 11/7. Peterman will have to make a few more plays downfield. Tyler Boyd may have to play through “a little bruise” on the final drive next time (his coach’s words, not mine). And Pat Narduzzi may have to spend less time focused on chewing out the refs and his fellow coaches, and more time focused on the game clock and play calling. Instead, no prolific statements were made. We just got a reality check. The Panthers may put us back on the emotional roller coaster at any time. But until then… they are getting better. They just aren’t all that good yet.